Dry Flower Stage 2 - Great Vegetative Growth. Speeds up growth. This great range of products takes you through from the cutting to the flowering stage of a plant. 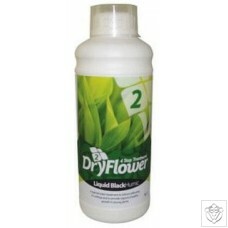 Dry Flower Stage 2 - Contains Humate extracts to promote the vegetative growth cycle. Black Humic will stimulate nutrient uptake and root and stem growth, giving the plants the boost they need. 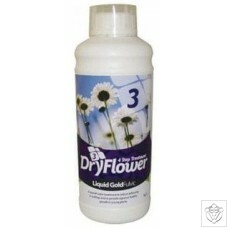 Use in conjunction with Dry Flower Stages 1,3 and 4. Dry Flower Stage 3 - Flowers, Flowers Everywhere. Speeds up growth. This great range of products takes you through from the cutting to the flowering stage of a plant. Dry Flower Stage 3 - Liquid Gold Fulvic is made from the finest humate extracts available and has an amazing impact on floral crops. It will also increase the dry weight of any plant. A top seller! Use in conjunction with Dry Flower Stages 1,2 and 4. Dry Flower Stage 4 - The Final Flush! Speeds up growth. This great range of products takes you through from the cutting to the flowering stage of a plant. 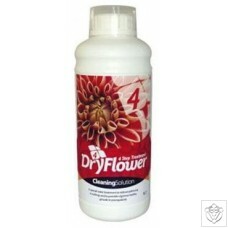 Dry Flower Stage 4 - Special water treatment that prepares floral crops for harvesting and drying. It ensures that all nutrients are used and 'cleared' from the plant ensuring a fresh natural taste. A top seller! Use with Dry Flower Stages 1,2 and 3.